Even when it comes to businesses that offer similar if not identical goods or services, a difference in the quality of training that employees receive in Business A compared to B can make more than a mountain of difference! The Association for Talent Development (ATD) reported a difference of nearly 220% in generated income between companies with and without a comprehensive approach to training new hires; that includes everything from tech giants with triple-digit staff member counts to restaurants with just a couple dozen hands on deck. No matter what kind of business is being run, investing in formalized training protects the most precious assets that you have; the preparedness, competence, and accountability of your team members. Well-trained employees more than make up the cost of their compensation by being valuable enough not only to play their roles well but also to mentor new hires and continually nurture the company's overall reputation. If you want to make sure that your employees are most capable of hitting all the right bases with their talents, there are certain cornerstones of the ideal training process that can ensure your best chance at creating that ideal performance level. To create the most efficient learning process and optimistic long-term performance outlook for all your new hires, keep the following employee training program checklist in mind. While every restaurant has its own unique rules, there isn't a single one that makes it to the end of the year still in business without effective team communication. The training program's core set of takeaway points should not be considered complete without an insistence on constant engagement and feedback exchanges with other team members. From staying alert about emergency situations to smoothly conducting closing time protocol, employees who were trained from the root to be communicative with their team members will be the kind that you can depend on most. Employees who also keep other employees accountable for proper work create a culture of respect for competence. For every skill and concept that the training program teaches trainees to take to heart, there should also be a point made that they keep an eye out for their team members' successful application of the same thing. It doesn't mean to encourage unsolicited micromanagement or conflict, but to ingrain a sense of obligation in the new team members to be mutually invested in one another's competence. Naturally, a new employee's path to unconscious competence isn't complete on the first day that they're capable enough to survive their first real shift. The key to completely drilling in any type of training is consistent reinforcement through constant unaided tests of retention. You can set this ongoing "live skill sharpening" process into effect very early on through pop quizzes in the training program itself. Using incentives like small bonuses that trainees can compete for in a contest of their comprehension is a very effective way to create this effect with a bit of fun. After their training is complete, regular team meetings that revisit basic training lessons can keep new hires conditioned to reference what they've learned. 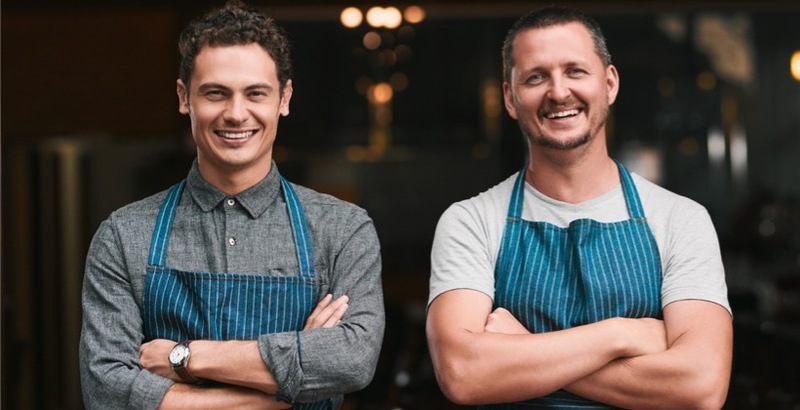 However, it's not only essential to have this policy of regular training reinforcement in your restaurant but to prepare new hires for their necessity from day one. The training program should make it apparent to employees everything they're learning could potentially be something that they're directly tested to recall long after they've finished training; doing this will create a subtle but effective sense of heightened urgency to commit more details to memory. For systematic tasks that take a very standardized order of operations to carry out properly, such running the POS system for specific transactions or highly inflexible food/drink recipes, you'll want to make sure the training program has memorable reference models for new hires to reference at a moment's notice quickly. Acronyms are excellent for making seemingly complex step-by-step processes more quickly digestible. As an extra measure, it's also a good idea to have these acronyms clearly visible on paper or notes next to the cash register or any other area where the most strictly step-based tasks take place. Just like the music isn't made in the violin, the learner isn't made in the learning material! While one person might be most capable of learning from reading instructions in text, others might be more naturally adept at retaining knowledge from diagrams or verbal explanations. When it comes to a group of new hires with an unknown variety of different learning affinities, you'll want to make sure that each takeaway point in the training program is fully and clearly represented in multiple mediums. Information that is not only written but also visually diagrammed and verbally communicated via recording (prior to hands-on practice) has the best chance at being fully and equally absorbed by every person in a group of people with variable ideal learning styles. The reason that elite professional teams exist is because of countless hours spent designing the world's most powerfully comprehensive training programs to mold them. Even if you're just running a restaurant and not training a special ops squad to survive in the Amazon rainforest with limited rations, there will be a correlation between your training program's quality and the average standard of results you'll be able to expect from those who partake in it realistically! In the current technological climate, every savvy manager on the planet today understands that embracing mobile is an unconditional law of success! Here at PlayerLync, our primary mission is to provide restaurants with top-quality mobile learning software that sets a higher standard for formalized training. To learn more about robust strategies for increased productivity and enabled employees, download our free guide on driving employee enablement with mobility.